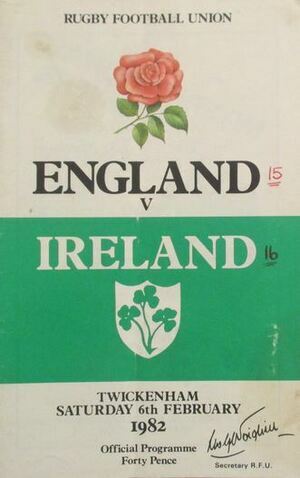 Ireland led by original captain fantastic, Ciaran Fitzgerald, dragged his men back into a game they trailed. 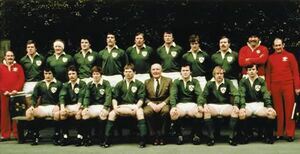 Despite missing six of his 11 kicks, Ollie Campbell was in otherwise sparkling form, Trevor Ringland ripped the leather pill from Patric Esteve on the line while Moss Finn did more than most with two tries to seal Ireland’s first win over the cheese eating surrender monkeys French in eight years. 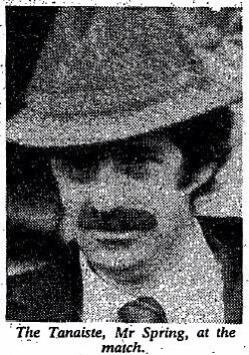 “You know the difference between a culchie and a frog?.. 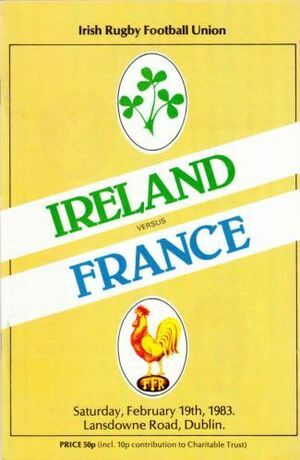 It was 4:10 p.m. on Saturday, France were leading Ireland 16-15 and his fellow-jackeen, Oliver Homer Campbell, had nodded, missing five goal-kicks. 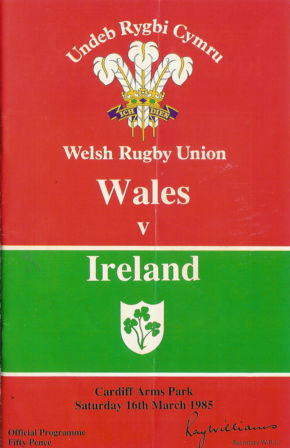 Posted in Misc, Sports and tagged 6nations, France, Ireland, retro rugby at 10:07 am on March 14, 2014 by Aaron McAllorum.